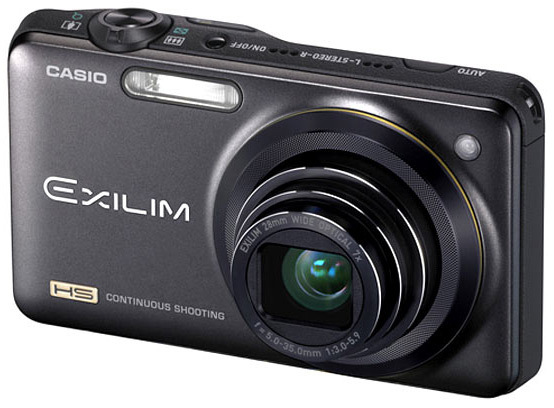 Casio has announced the new Casio Exilim ZR100, shown above, and Casio Exilim ZR10, shown below. 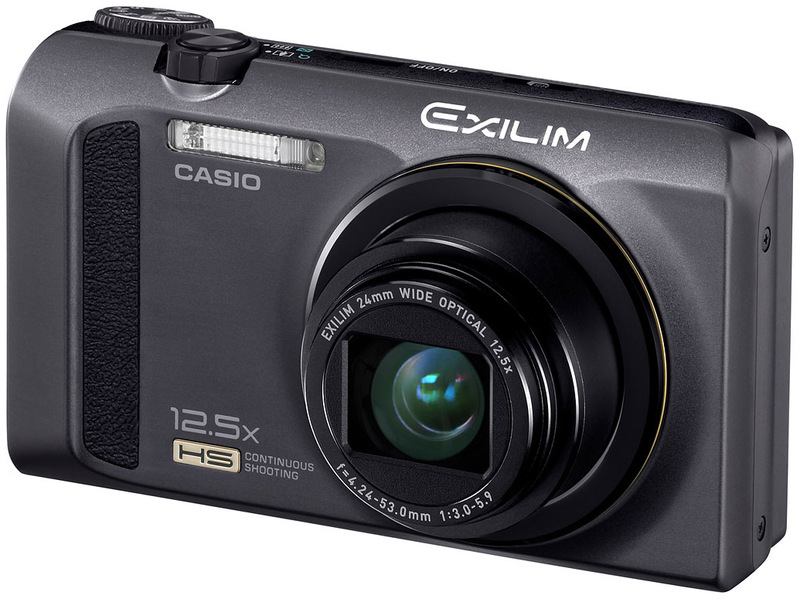 We first saw the Casio Exilim ZR10 at Photokina 2010. The new Casio Exilim ZR100 features a wide-angle 12.5x optical zoom lens (24 ~ 300mm), a 12 megapixel CMOS (back-illuminated type) sensor, high speed shooting (upto 40fps photos, 1000fps video), 3″ screen, anti-shake sensor, 1080p HD Video, and HDMI out. The Casio Exilim ZR10 features a 12 Megapixel Back-Illuminated CMOS Sensor, 28mm Wide-Angle 7X Optical Zoom Lens, CMOS Shift Stabilization, 30 Images (40fps) shooting, and High-Speed Movie (480fps), Full HD 1080 Movie Capture (H.264), Stereo Recording, HDMI Terminal, High-Speed Continuous Shutter (CS) Technology, Slide Panorama Shooting, and HDR-Art Imaging.